Gives you 10 signature effects for maximum tonal tweaking. 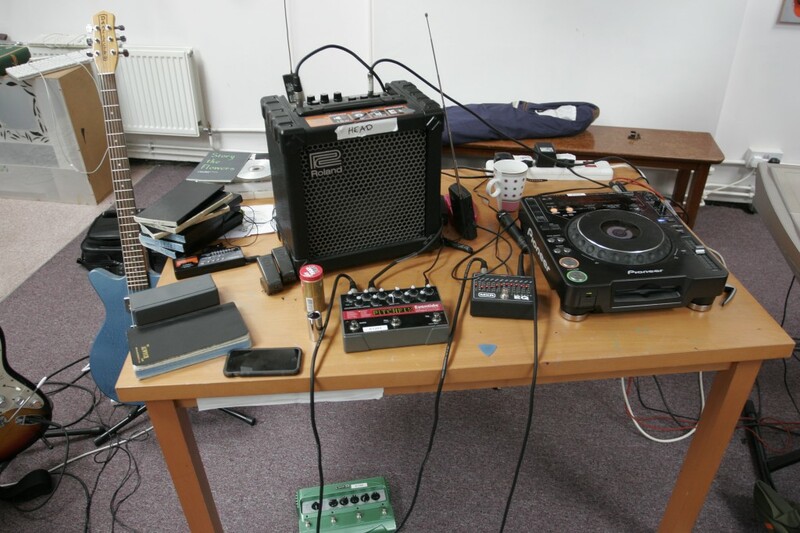 The PitchFactor is used for synthy sounds in his pedalboard. It has been suggested that this pedal was also used with remote Lissack used for the EHX POG pedal, considering he had it on the shelf with the Electro Harmonix POG before he put it back into his pedalboard. The Canadian techno mastermind reveals how his live set works at the 2014 Red Bull Music Academy in Tokyo. Pedal identified from the photo. He says he uses one. In [this blog](http://www.polymathperspective.com/?p=3900) about the making of Eno & Hyde's 2014 album *Someday World*, Karl's setup is depicted with the Pitchfactor positioned front and center on his desk. Adrian Below's Eventide PitchFactor can be seen at 0:30 in this video. Toro shares a nondescript closeup of the PitchFactor, assumedly in his home studio. In this photo, posted to Vernon Reid's [Facebook](https://www.facebook.com/VernonReid), his Eventide PitchFactor can be seen. 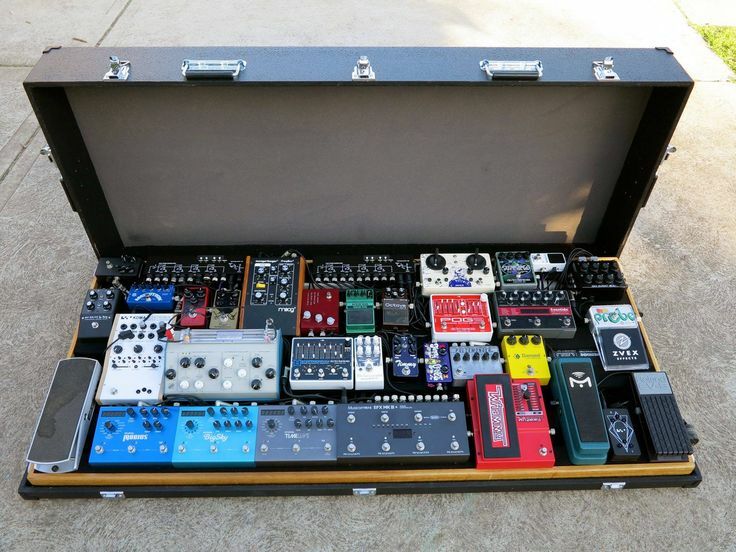 This photo of Henry Kaiser's pedalboard, found on [Vertex Effects](https://www.vertexeffects.com/blog/henry-kaiser-pedalboard_2), shows that he uses an Eventide PitchFactor. Zach shows his pedalboard and we see that he uses Eventide Pitchfactor at 3:49 in the video and at 3:46. At 8:38 minute mark, Bennett's Eventide PitchFactor Harmonizer can be seen. 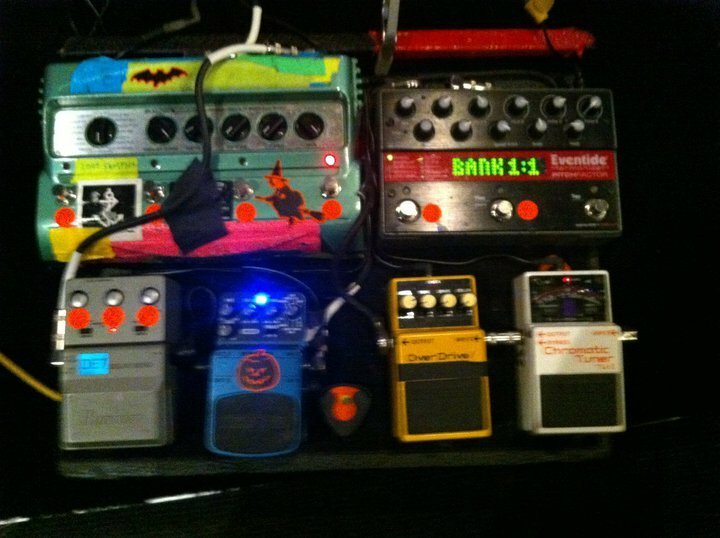 You can see an Eventide PitchFactor in a pic of Kevin's pedalboard in his reddit AMA. "I am using about five pedals. Two of them are Eventide pedals. One of them is called a PitchFactor and then one of them I think is just called the Space." – St. Vincent, via [this interview](http://thelabmagazine.com/2012/08/27/st-vincent/) with The Lab Magazine. The pitchfactor can just be seen in the center of the top row of this picture. There are some pictures of his board without this so it may be a new addition. Carl talks about his Eventides in his loop rig from 13.00 onwards in this rig rundown video. Bradford Cox on Eventide: PitchFactor "I was about to give up writing with a guitar and then this thing came along." - Pitchfork, December 20, 2010 As you can see in the proof photo there is a Eventide PitchFactor next to a Line 6 delay pedal. Bradfors use this mostly in "Halcyon Digest" and most "Atlas Sounds" sounds. Some classic songs where bradford use this amazing pedal are: "Te amo", "Helicopter" and the f***ing great riff on "He Would Have Laughed". This pedal is also we I love bradford. "I'll get the performance down and then I'll have it MIDI'd up or just go around sending it to stuff and seeing what sounds best and what sounds cool. I've also got all kinds of effects: phasers and delays. [Eventide's] Pitch Factor was really, really useful. " A detailed [gear diagram](http://www.guitargeek.com/stephen-carpenter-deftones-guitar-rig-and-gear-setup-2011/) for Stephen Carpenter of [Deftones](http://equipboard.com/band/deftones), traces the signal flow of the equipment, containing an Eventide PitchFactor, in his 2011 guitar rig. Doug's PitchFactor can be seen at around 29:45 in this video. 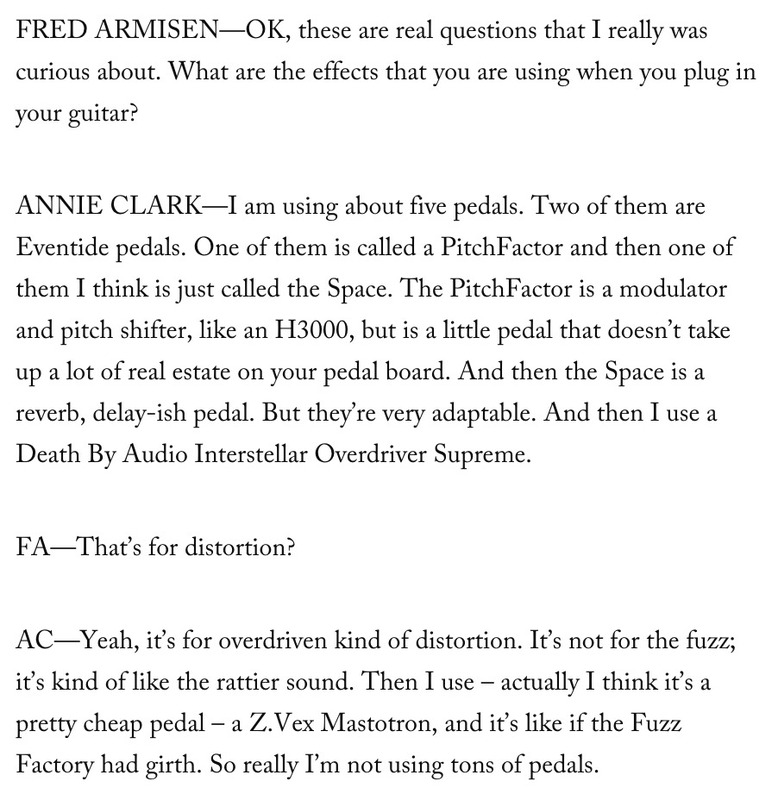 Brian mentioned the Eventide Pitchfactor when asked what his favourite pedals were. 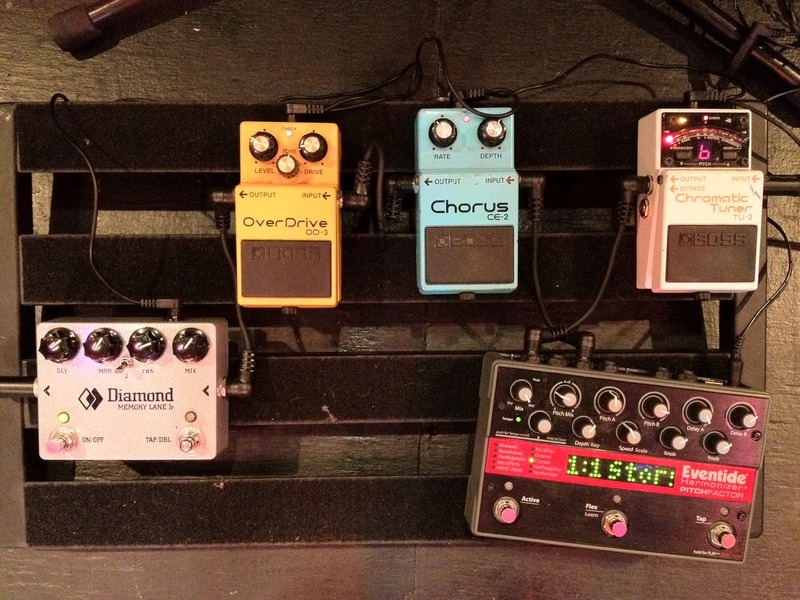 In this collection of pedals photo posted by Ekstrom on his Instagram profile, the Eventide Pitchfactor can be seen. at 6:23 in thhe attached video you can see the Eventide pedal. 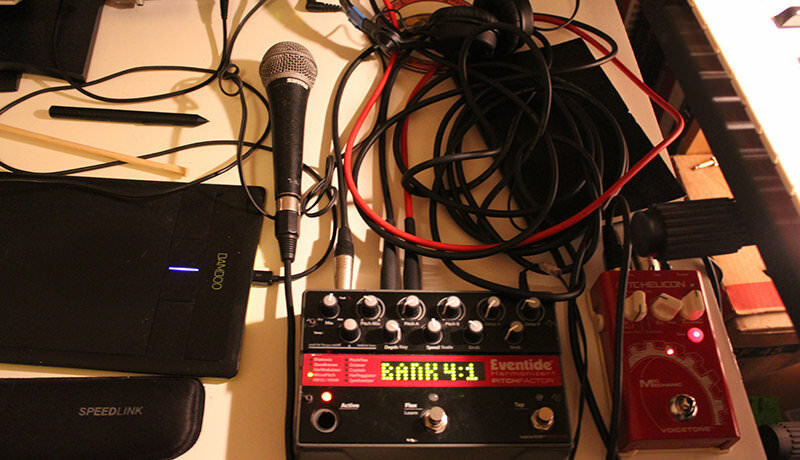 According to this article about gear seen being used by Lockett Pundt, he has used an Eventide PitchFactor Harmonizer. 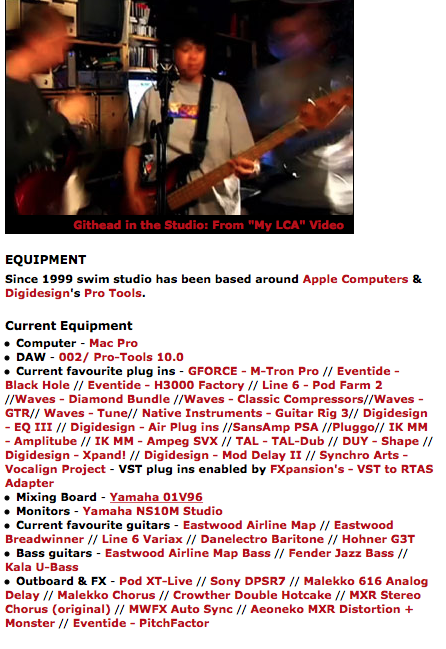 The PitchFactor by Eventide is listed on Colin Newman's [website](http://www.colinewman.com/studio.html) among his outboard effects. "I spent $500 on this harmonizer with dreams of actually learning how to use it. That never happened. So I use it for a ‘bounce back’ delay on a couple of the tunes we are playing nowadays. If you have an ounce of patience, though, I am sure you could make this pedal do incredible things." In this Instagram post Joseph Andreoli shows his pedal board containing a Eventide PitchFactor. 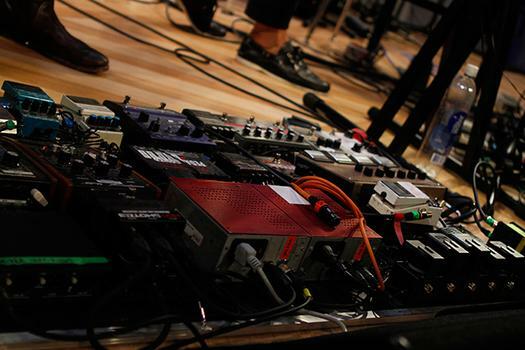 In this photo you can see, along with Tatum's other pedals, his Eventide PitchFactor harmonizer. I have two pedalboards, one I control with my hands and another I control with my feet. My guitar goes into a Lehle D.Loop SgoS Effect Looper/Switcher, which has two loops. Loop A contains a Prescription Electronics Experience Octave/Fuzz, a Dunlop wah, a Boss OD- 2 Turbo OverDrive, and a Rat distortion. Loop B contains a Boss DD-5 Digital Delay, an Alesis Bitrman ModFX multi-effects processor, a Z.Vex Fuzz Factory, and an Electro- Harmonix Micro Synthesizer. The output of the Lehle goes to a Morley volume pedal, an Eventide PitchFactor, a Line 6 DL4 Delay Modeler, and a pair of GigRig HumDinger signal splitters that I use to send a mono feed to my amp—which is usually a Vox AC30—and a stereo feed to a MOTU Traveler FireWire Audio Interface and a MacBook running Ableton Live. I also have three Roland EV-5 expression pedals: One controls Feedback and Delay Level on the DL4, another controls various functions on the PitchFactor, and the third one is connected to a Logidy USB foot controller that I use along with a Korg nanoKONTROL to make real time adjustments in Live.
" From there an Ernie Ball Volume pedal goes into a Digitech Whammy, then through an Eventide PitchFactor, into a Guyatone Overdrive driving an Ibanez Smashbox, into a Zvex Fuzzfactory, through a Guyatone Delay." Eventide Pitchfactor Harmonizer Delay Pedal can be spotted into this photo. Vincent mentions his Eventide Pitchfactor in the source article. Sergio posted his pedalboard on Instagram. This is from his official website, with a demo on soundcloud and a photo of the pedal. Julie had an Eventide PitchFactor on the pedalboard she showed on Pedals and Effects. 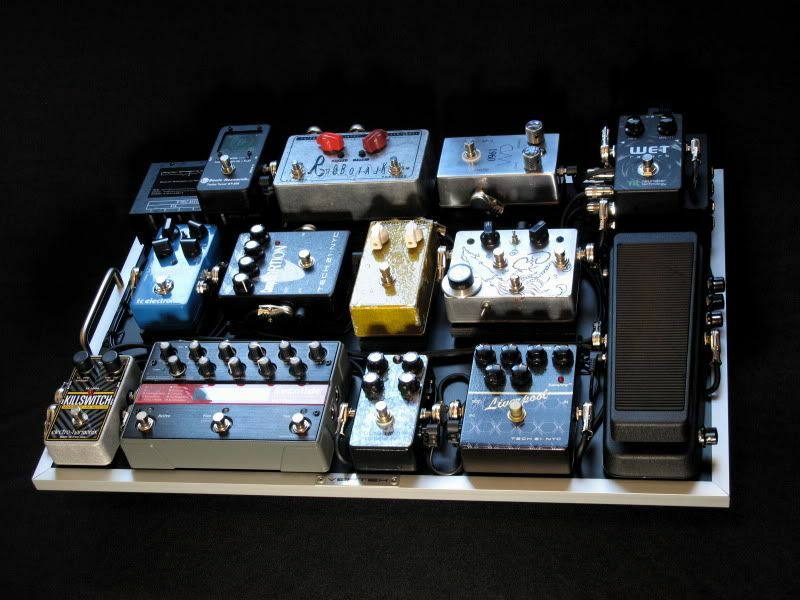 In Pedals Fusion's 2015 interview with Atsuko Chiba, Kevin showed off his pedalboard, which included an Eventide PitchFactor. *Can be seen at 1:06 of the band performing 'unbalancing act' live at Newmarket Studios. He can be seen using it on his KEXP performance. The PitchFactor Harmonizer pedal gives you Eventide's 10 best pitch-changing effects from the past 36 years without compromising quality or flexibility. This plug-and-play expression pedal gives you control over the wet/dry mix or any combination of parameters. Control program changes and vary parameters continuously via MIDI. The Pitchfactor Harmonizer supports instrument or line-level inputs and outputs. The Eventide PitchFactor plays well with others and adapts seamlessly with a wide variety of amps and other foot pedals. The Eventide PitchFactor Harmonizer Pedal is also easy to upgrade-you can download new software from the internet and install via USB. This is my favourite tool on my board, when i need achieve space, bright, 3D sounds. It has arpeggiator, whammy capabilities(with 2 voices going whatever you want, or just one), a ton of very useful sounds and effects. The blend knob enhace the possibilities and the A/B blend, allow achieve the fine tunning of our prefered sounds. One of my "forever" tools. This pedal gives you all instead of just harmonizer. Covers from whammy to double tracking to so much more. The built?in delays and the ability to do micro?shifting mean that this box can stand in for a more conventional echo or pseudo?chorus unit too, so you don't have to use the more outlandish effects to get good results from the PitchFactor. The switchable stereo input and output connections make all the Factor pedals hugely versatile, and there's actually a little overlap between their capabilities, so you don't need them all to get a good range of effects, and it shouldn't take too much effort to figure out which would best suit your needs. All in all, these are classy?sounding units from one of the most respected of studio hardware manufacturers. Only complaints would be; doesn't track well for polyphonic and this pedal takes up a lot of current draw. Eventide is all you need. When I created the Dubstomp sub-genre of Dubstep and became the first guitarist to play dubstep I powered my guitar-synth rig with Eventide and nothing else. If Eventide can't meet your processing needs you need to give up now. A gorgeous Pedal, seldom used by me, but and absolute must for some of those wanted and needed Studio effects when needed in a Live situation.